The Nigeria Ports Authority (NPA) has denied the claim 282 vessels got missing under its watch between 2010 and 2016. The allegation was made by the Senate Committee on Customs, Excise and Tariff. 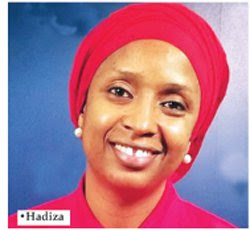 NPA, in a statement yesterday by its Principal Manager, Public Affairs, Ibrahim Nasiru, said its records did not support such claim. The statement reads: “On Thursday, July 20, 2017, the Senate Committee on Customs, Excise and Tariff handed over documents containing a list of 29 items, which are a combination of vessels and details of individual Bill of Lading of consignments carried by different vessels to representatives of NPA for review. “On July 24, 2017, the NPA received another set of 10 volumes of items, numbering 11252 alleged to have been transported by vessels said to have called at the NPA. This was delivered to the authority by the Nigeria Shippers Council on the instruction of the Senate committee. “Of the 29 items handed over to the NPA on July 20, 2017, only five vessels were identifiable. We discovered that the other 24 items are a repetition of the five vessels that were identified. A report to this effect with relevant supporting documents evidencing payment of charges for the five vessels has been forwarded to the Senate committee as requested. “Concerning the 10 volumes of items numbering 1-1252 handed over to the NPA by the Nigerian Shippers Council, the NPA was unable to conduct a meaningful review as the documents did not provide the data that will enable verification. No port of call and name of terminal where vessel berthed were provided. “The Authority has conveyed these observations to the Senate Committee and looks forward to receiving the required information to enable full investigation.